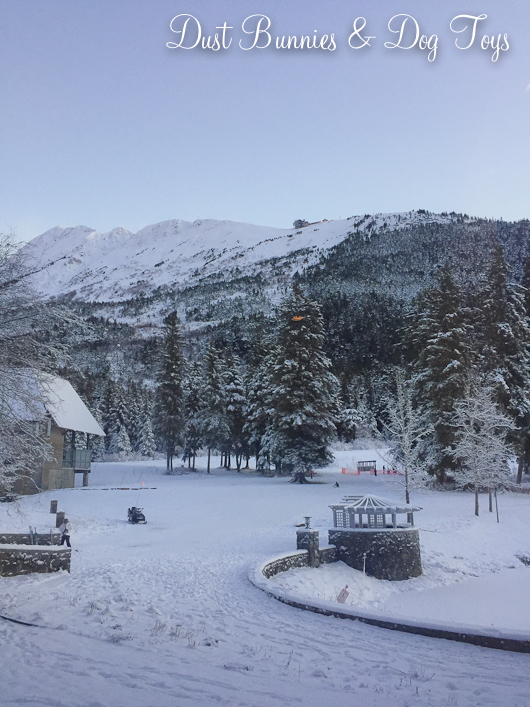 I recently had a few days off from my full-time job and booked a photography client for an elopement in Girdwood during that time. Since that’s a 2 hour drive from our home we decided to make it into a little day trip to celebrate holidays. 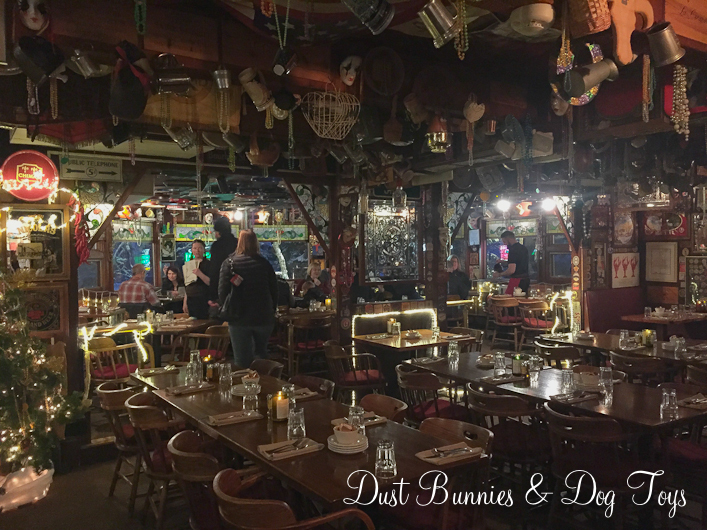 We stopped in Anchorage on the way down to take care of a few quick errands and then stopped a local eatery in Indian, AK called Froth and Forage for brunch. 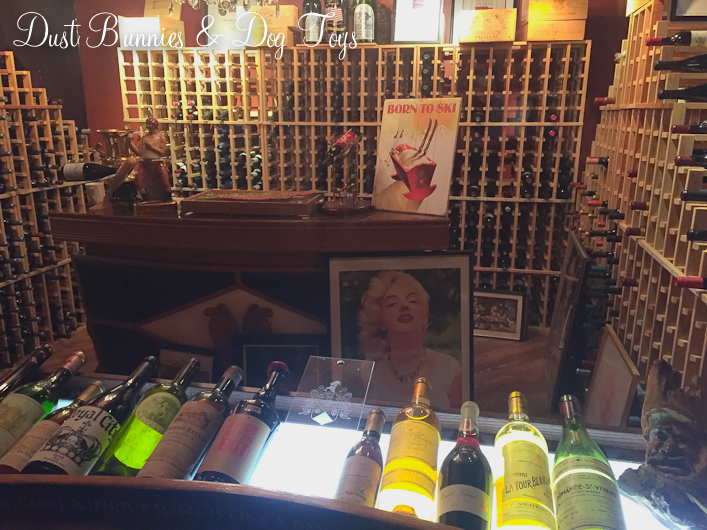 They specialize in organic, locally-sourced meals so they had a great menu and cozy atmosphere. The elopement came next and was done in an open field with amazing views near Alyeska Resort. The temps were nearing single digits, so after the ceremony we all headed to the hotel to warm up for a bit and do a few more photos there. Once I wrapped up with the bride and groom the Hubs and I hung out at the hotel enjoying the big couches around the cozy fireplace and pretty views of the grounds and tram up the hill out the window. 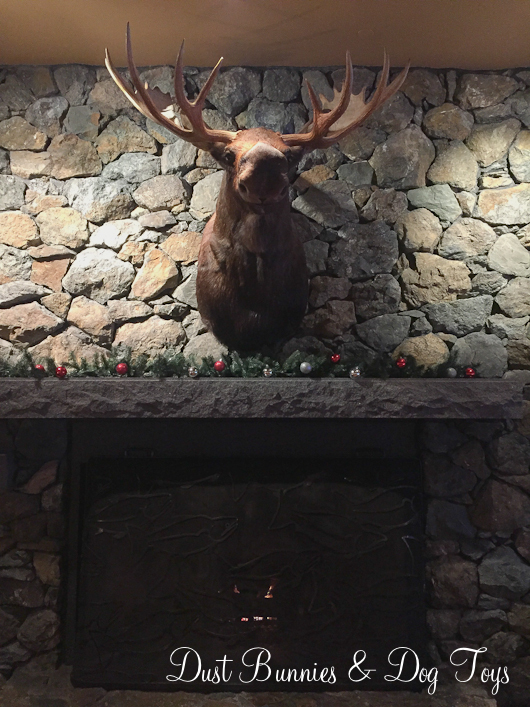 The moose above the fireplace kept us company along with skiers and snowboarders there to enjoy the mountain’s activities. 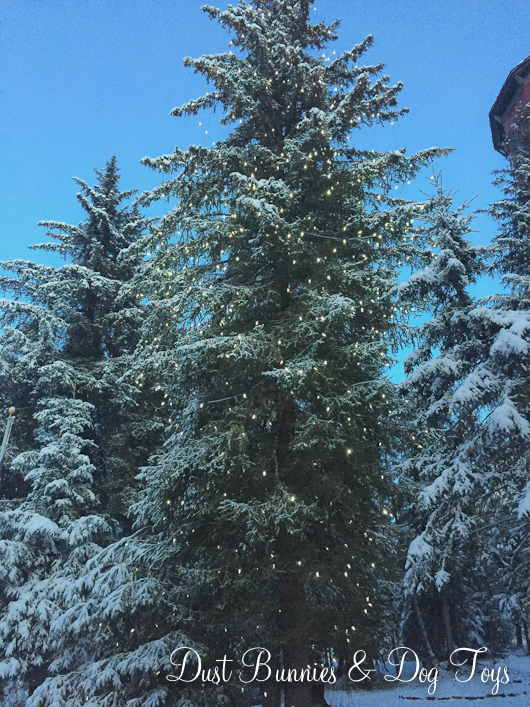 The hotel was decorated for Christmas and the snowy trees covered in lights created the perfect mountain retreat winter wonderland feeling. 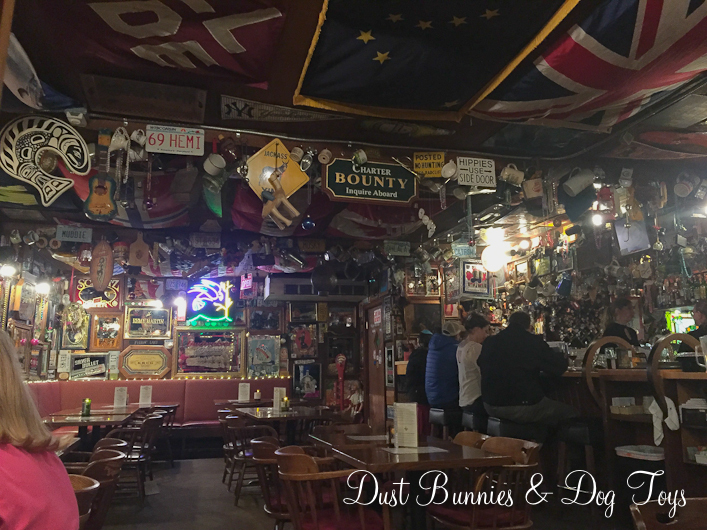 After relaxing for a while, we headed to the infamous Double Musky Inn for dinner. 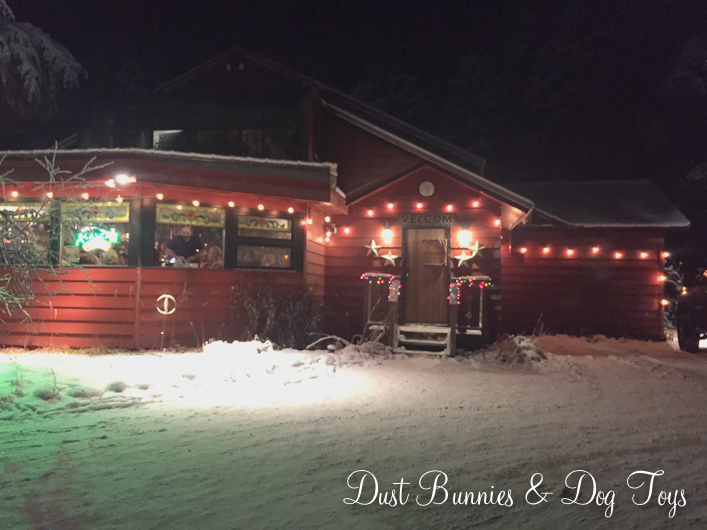 It’s the local hot spot for fine dining in this sleepy ski town and while the Hubs has been there several times, this was my first visit. Like most buildings in Alaska the exterior is simple and deceiving of what you’ll find inside. 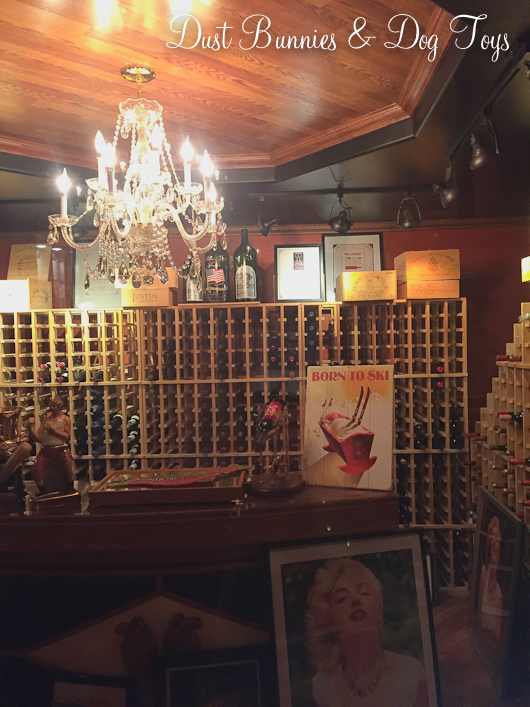 The impressive wine cellar is on display behind a window as you enter the building and head toward the restaurant. As you turn the corner into the dining room there’s a completely different feel. A collection of random items hang from the rafters and a hodge-podge of signs cover every inch of the walls. We got a table in the solarium, where I had a great view of the bar area. It too had an eclectic variety of decorations including several well recognized flags across the ceiling. I ordered the Redout Volcano cocktail, which had a fun hint of coconut. 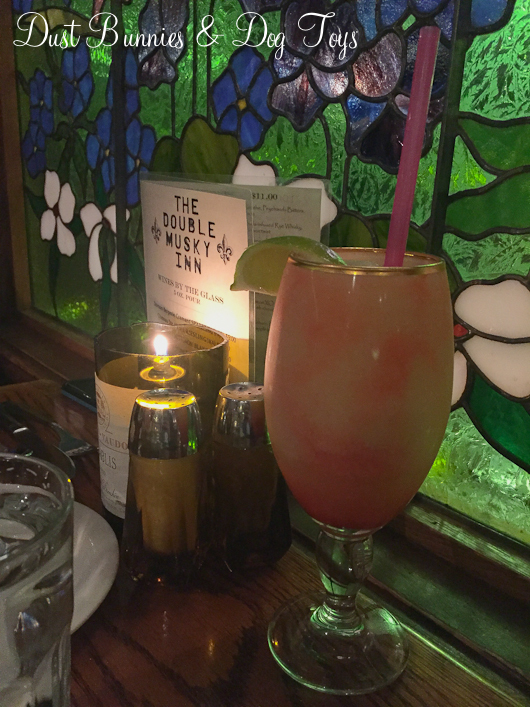 I enjoyed sipping it watching the candle light flicker against the massive stained glass window our table sat against. 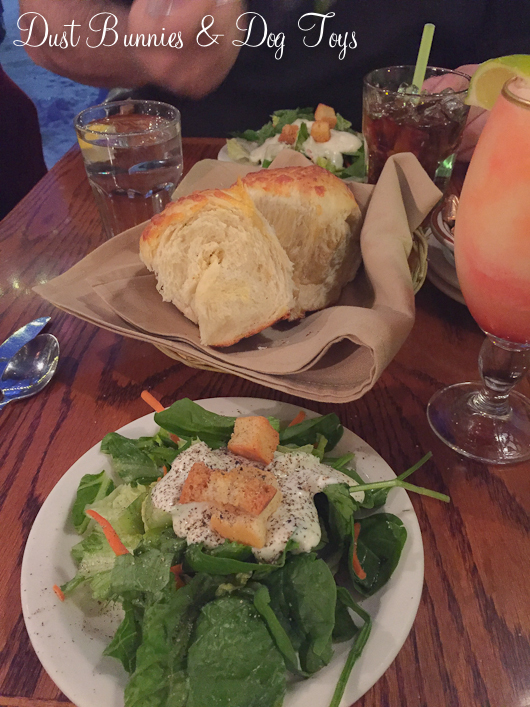 The Double Musky’s menu is based on cajun specialties, which started with jalapeno bread that came with our salads. 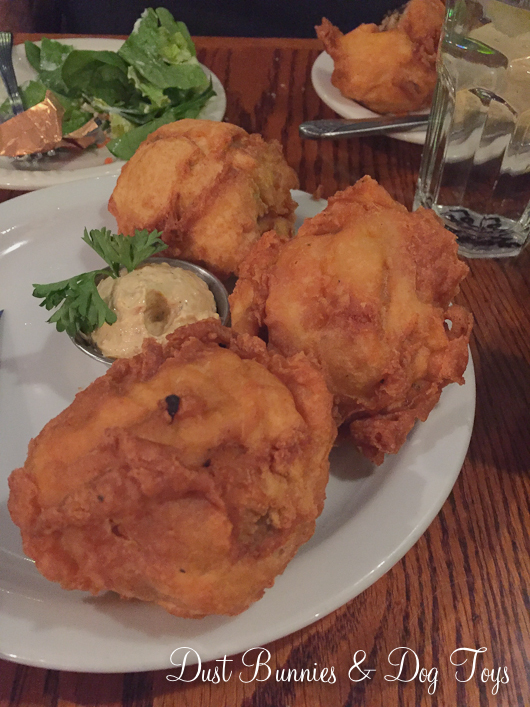 We decided to try the cajun stuffed mushrooms as an appetizer and were stunned at how big they were. We each only tried one so we could leave room for our meals, knowing the portions are always generous at this venue. 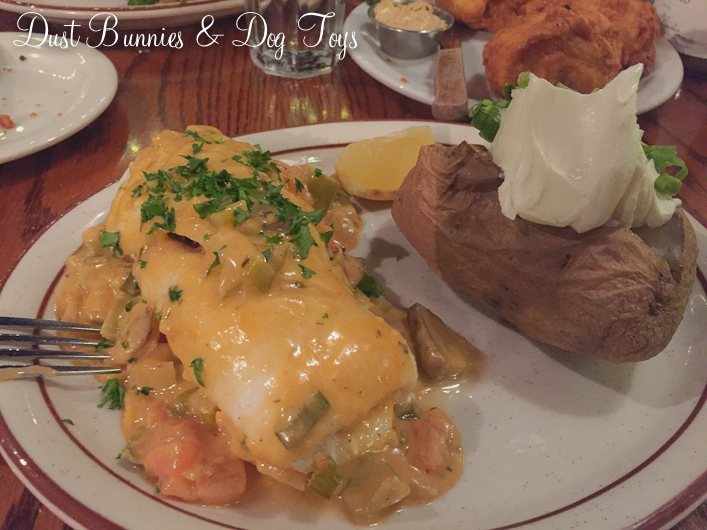 While the Hubs went with the Musky’s classic peppercorn steak, I selected the crab stuffed halibut with baked potato and it didn’t disappoint. It was flaky and moist, with just the right amount of spice to the sauce. 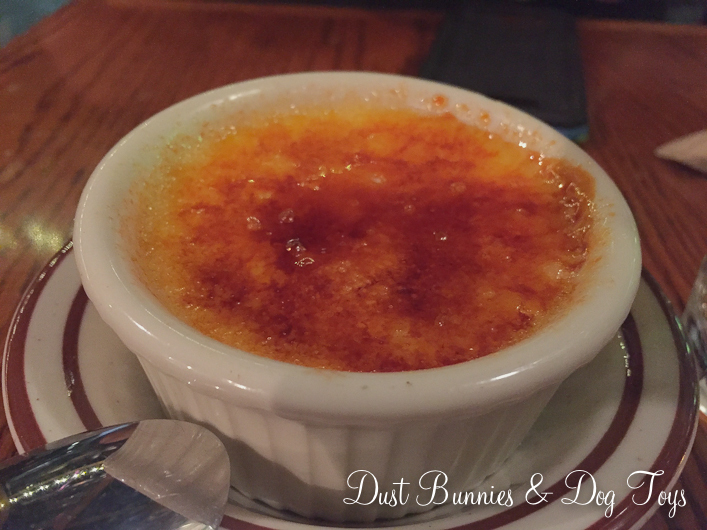 Both of us only made a dent in our entrees before we were full, but we had to try the creme brulee for dessert so we split it. It too was delicious and just the right mix of crunch on the top and smooth inside. 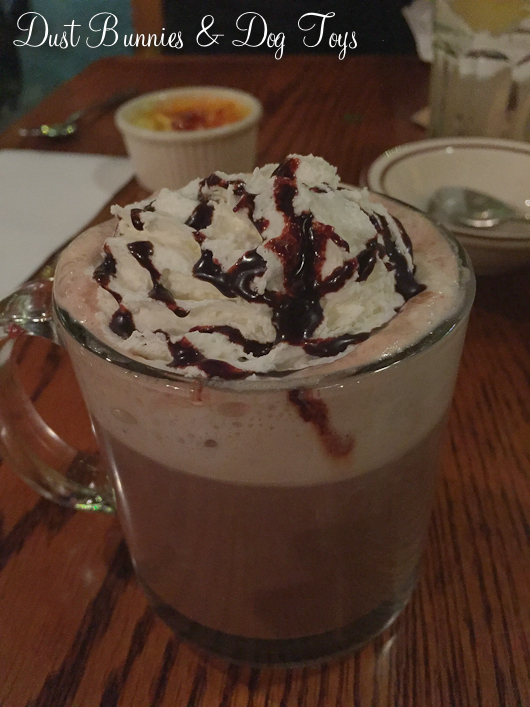 Rather than order another cocktail when I finished my meal I opted to go with a hot chocolate, which the waiter added chocolate sauce drizzle to. 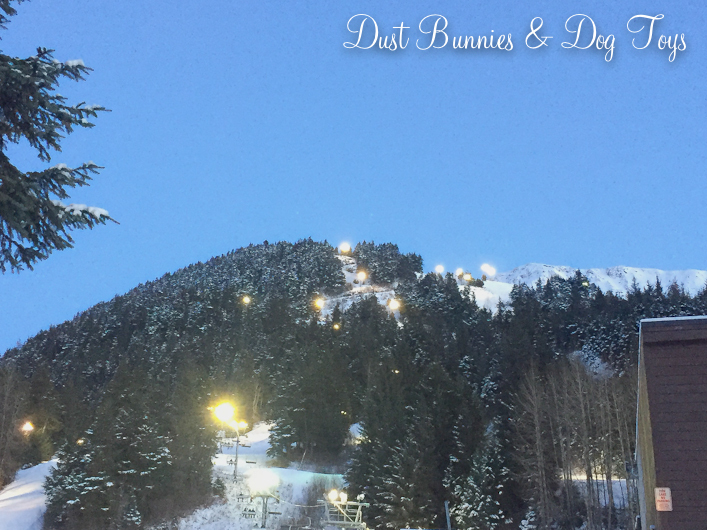 It was a great way to warm up before we headed back out to the cold for the drive home.